This week’s post is going to be rather general and not even specific to learning Japanese. It doesn’t mean it won’t be helpful, though! I’m going to examine a few of my favorite tips for building good study habits. If you want to learn Japanese, you really must study and you must do it consistently. That’s the problem many at-home learners, including myself, have: the discipline to study on a consistent basis. Let’s look over a few of the most popular ways of keeping yourself motivated and organized in your studies, shall we? Set goals – Setting a goal for yourself, such as “I will have __ number of lessons done by the end of the week,” is an excellent way to motivate. It gives you something specific to work towards. If you don’t make your goal, don’t sweat it! Nobody’s going to take away your birthday if you don’t do exactly __ number of lessons. There’s no punishment. Just pick up where you are next week with a new goal. Schedule your time – Putting aside a particular time during the day or week when you will study is another great way to keep on track. If you physically write it into your daily schedule and make it a habit, you’ll find it’s a tough habit to break once it becomes normal to you. Reward yourself – Give yourself a treat for completing a certain amount of work. Let’s say you finish ten JapanesePod101 lessons in a month. Great! Maybe go out and buy yourself an ice cream cone, get that new movie you want, or give yourself a little break from studying and spend some time communing with your Nintendo Wii. Lists – Make lists of reasons why you want to study Japanese, steps you’re going to take to learn it, and mini-goals you want to complete within the next few months. Set them somewhere visible so you won’t forget them and look back on them when you’re feeling discouraged. They can be a great pick-me-up! Feel proud – Hey, you’ve committed yourself to learning a language many are too intimidated by. Feel proud! Congratulate yourself on a job well done, whether you’re a beginner finishing lesson one or an advanced student. No matter what happens, don’t get down on yourself. And as always, ganbatte ne! Welcome to another addition of Benkyou Blog! So, you’ve been studying through JapanesePod101, but you think you’re ready to add a little extra something to your routine. If you feel you’ve got a decent mastery of basic Japanese, there are a few ways you can add snippets of Japanese popular culture to your routine that will build your exposure to the language. Building exposure through music, television, and other forms of media is a great way of helping you learn Japanese. Case in point: me! Before I went to Japan, I was obsessed with Japanese pop music. It’s all I listened to. GLAY and Utada Hikaru dominated the airspace in my bedroom. I was also your typical anime nerd (though not anymore – remember, this was when I was in 8th - 9th grade) who always had her nose in the latest episode of Card Captor Sakura or clips from the Japanese version of Digimon. …Yes, I was a total nerd. Anyway! When I went to Japan and began actually studying Japanese, I discovered that my pronunciation was excellent and my accent was minimal at best. I received compliments all the time on it, so I could safely assume people weren’t just being nice because I heard it from so many people. I credit this to the intense exposure I had to the language before actually learning it. Hello again! Welcome once again to Benkyō Blog. I was thinking back to when I first started studying Japanese, and I recalled a technique I used for memorizing some hiragana and katakana. I saw some of them like pictures or symbols of something else. These little picture devices helped me to remember what was what. Here are a few examples of what I came up with. While looking at my examples, think to yourself: what is it that I see? It’s like looking at clouds and describing what animal they look like. One person might see a duck, and another person might see a stegosaurus. Don’t just take my examples because they aren’t yours. Make up your own and they’ll really stick! コ　- This little guy is the katakana for “ko”. To me, I see a backwards “C”. I know that it’s used in the word “kōhī”, which is the Japanified way of saying “coffee”. Coffee starts with a “C”. “Koohii” starts with a コ, which looks like a backwards C.
と　-　Does anyone remember the show “Digimon”? There was a Digimon called Tokomon. He looked a lot like this hiragana, “to”. Tokomon starts with a “to”, which looks exactly like Tokomon himself in Japanese! う　- The hiragana for “u” looks like an upside-down, underlined U. Anyone else see it? ヨ　- The katakana for “yo” looks like a backwards E. I don’t know why, but somehow this reminds me that it’s read “yo”. When you look at the different kana, what do you see? Use your imagination! Trust me, you might surprise yourself by what you come up with. Ganbatte ne! Youkoso! Welcome to the first “real” edition of Benkyou Blog. Gather ’round everyone, it’s story time. I’m going to tell you a little personal story about when I was a high school exchange student in Japan. I am a very self-conscious person. I find I’m comparing myself to others often. So, when I and my fellow exchange students would get together for various functions, I was constantly comparing my Japanese to theirs. At first, I was proud of myself. I had the best pronunciation and least accent of anyone else in the group, and considering I’d had no formal Japanese education, I wasn’t half bad. Midway through our ten month stay, things were a little different. I arrived at our little meeting for the Osaka exchange students and their host families expecting to be at the same level or even ahead of the others who had previously been struggling. Instead, I was unpleasantly surprised to find myself stuttering and using far less new vocabulary when we made our usual introductory, “how I’m doing” speeches. My confidence came crashing down, and only continued to crash as the day went on. A few months later, we had yet another exchange student gathering. Since the previous meeting, I had gotten back up on my feet and studied madly to catch up. Sure, the period before the last meeting was plagued with culture shock and various other exchange student stresses, but I felt that was no excuse for being so far behind! So, despite my lack of confidence, I studied hard all through my summer vacation. While my classmates were out having a good time, I was spending hours a day practicing kanji and translating the lyrics to my favorite songs as practice. At that next meeting, I felt about even with everyone else. We had all seemed to level out, no matter what our previous Japanese exposure was or how fast we’d learned at the beginning. At the end of the day, we were all about the same. The moral of the story? Don’t compare yourself to others!! If you know someone else studying Japanese, don’t expect to always be on the same page. You can use their efforts as a motivator, but never compare yourself because everyone learns new languages at different speeds. No two brains are exactly alike, right? So, no two people are going to study Japanese at the same pace. But, you’ll find in the end that you’ll end up on the same page. If you study hard, you’ll find yourself just as proficient. You may have to study more than someone else, or it may be more difficult for you, but don’t ever let that discourage you! You’re headed to the same destination: proficiency in the Japanese language. Don’t follow in the path of another. Blaze your own trail and make it a good one! Benkyō Blog de ganbarimashō ka? So, you’ve listened to the podcasts. You’ve looked at the lessons. You’ve tried to memorize the grammar and vocabulary. Still having problems? Looking for some tips on studying Japanese? Looking for someone to relate to so that you don’t feel like the only one struggling to learn this difficult language? Hello everyone. My name is Janna, and I’m here to introduce to you my new blog series, “Benkyo Blog”, that will be the new addition to the JapanesePod101 blog. 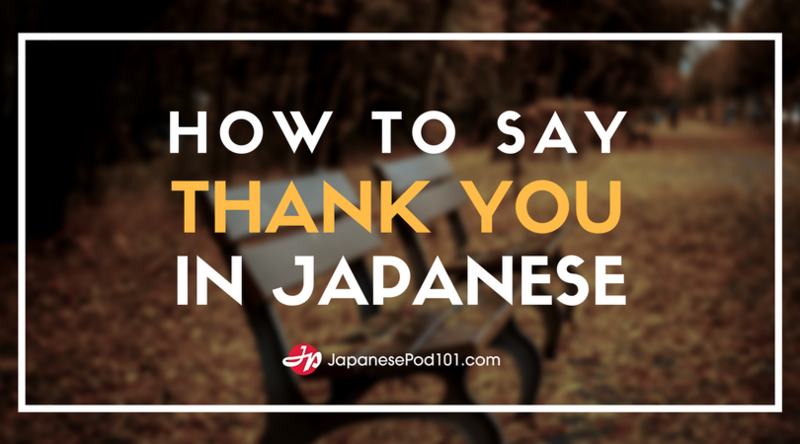 My job is simple: to make sure that you, the JapanesePod101 listeners, don’t feel alone. I have been studying Japanese for years, and much of that time was spent in self-study. I went to Japan in 2004, my sophomore/junior year in high school, as an exchange student. While there, I had next to no formal instruction nor did I have a specific “teacher”. I didn’t learn from a book. I learned primarily from real life experiences and conversation. 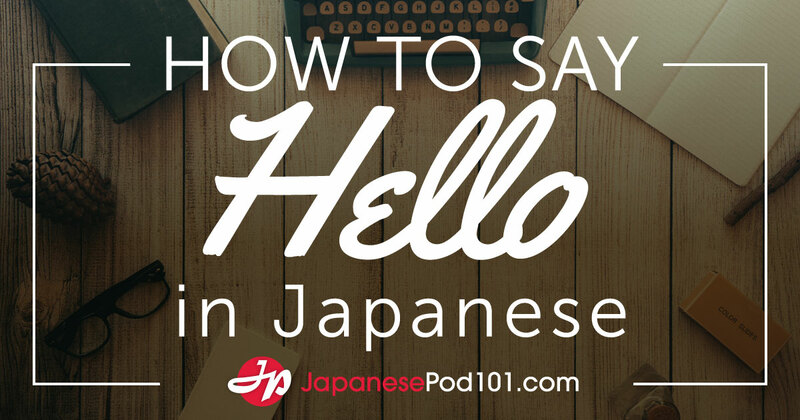 Not everyone has that luxury, and that’s where JapanesePod101 comes in – it’s there to help you learn this language through real life scenarios with vocabulary you’re going to actually use in daily Japanese life. Even so, no matter how good your materials are, studying a foreign language is difficult. Plus, you’re studying Japanese. It’s one of the most difficult languages in some respects, especially in regards to reading and writing. Not to mention it is unrelated to any other language. There’s good news, though: it’s not as tough to learn as you might think, and that’s what I’m here for. My goal through these blog posts is to get you to be more comfortable with studying Japanese. I’ll be giving you little ideas for memorizing hiragana and katakana or learning new vocabulary, personal stories from my time in Japan, and even a few tips for studying. Soon enough, you’ll find that Japanese isn’t as difficult as people make it out to be. The grammar and pronunciation are simple enough that it almost evens out with the difficult of the reading and writing. Reading and writing can be tough, but once you’ve learned how to learn the kana and kanji, you’ll discover your speed and efficiency in studying increases significantly. Plus, to make this blog a little more fun, I might throw in a little Osaka dialect mini-lesson here and there! What can I say? I’m proud of my Japanese home! I lived in Osaka while I was there and am anxiously awaiting my return. So, if you’re planning on traveling or living in Osaka, or you just find the dialect fascinating, you might find my occasional Osaka-style Japanese lesson interesting. So, enough about me and all this boring stuff! I’d like to once again welcome you all, and it is my most sincere of wishes that you become a more effective student of Japanese through my posts. Yoroshiku onegai shimasu! Ganbatte ne!